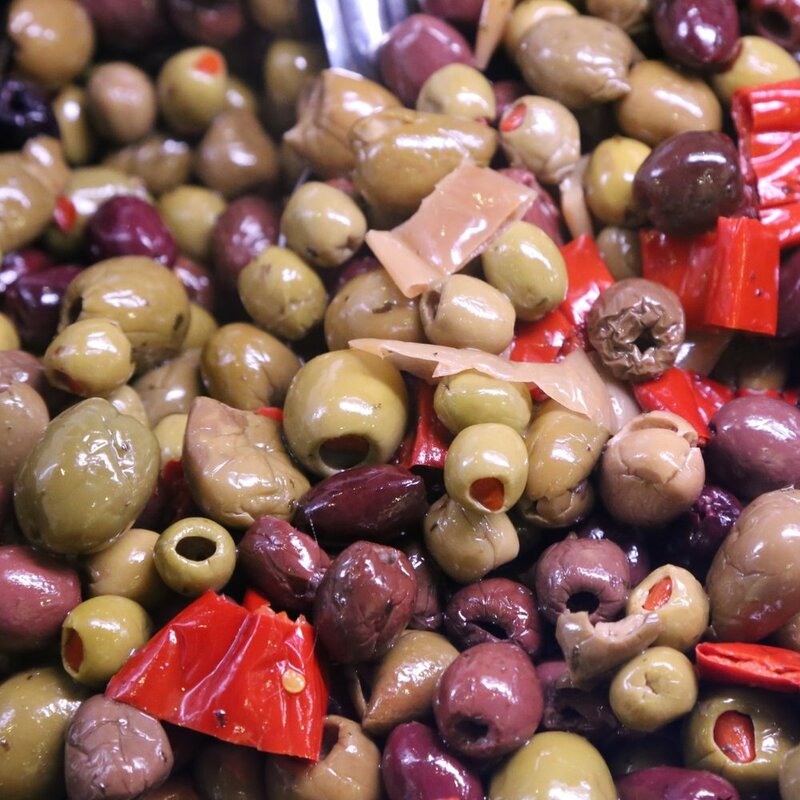 SORELLA is your must-stop shop for all your specialty products, including imported olive oils & balsamic vinegars, sauces, marinades, olives, frozen foods, sweets & treats and much more! 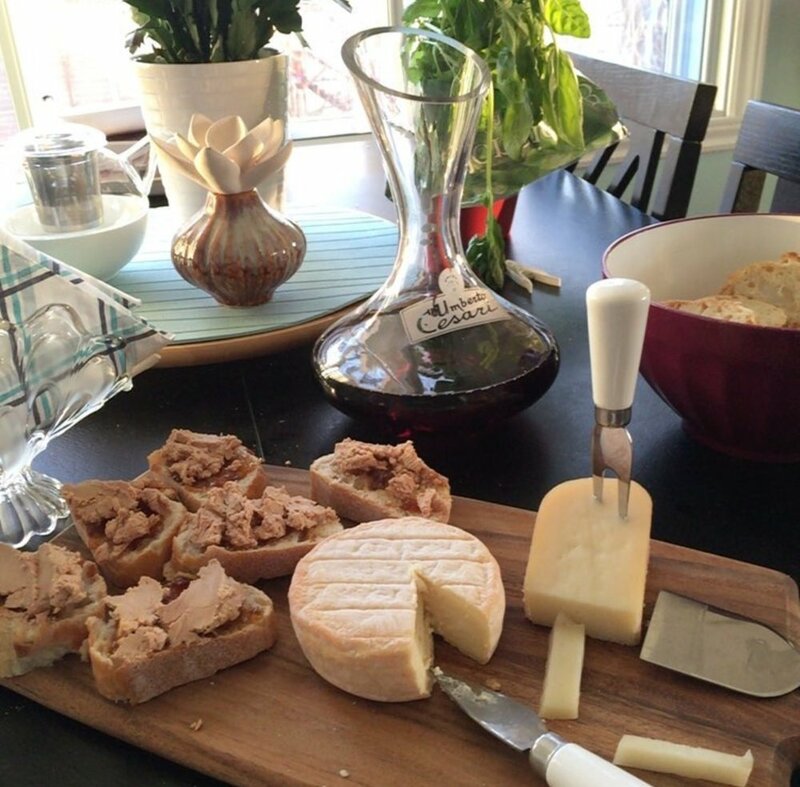 Come for inspiration, recipes or to find your loved ones the perfect gift! Stop by our bistro for a refreshing menu of gourmet sandwiches, homemade soups, savory salads and ready-made lunches to go. Sit at our communal table, enjoy a aromatic cappuccino and take some time in your busy schedule to enjoy a home cooked meal, prepared on site every morning. It was prepared with heavy dose of love! 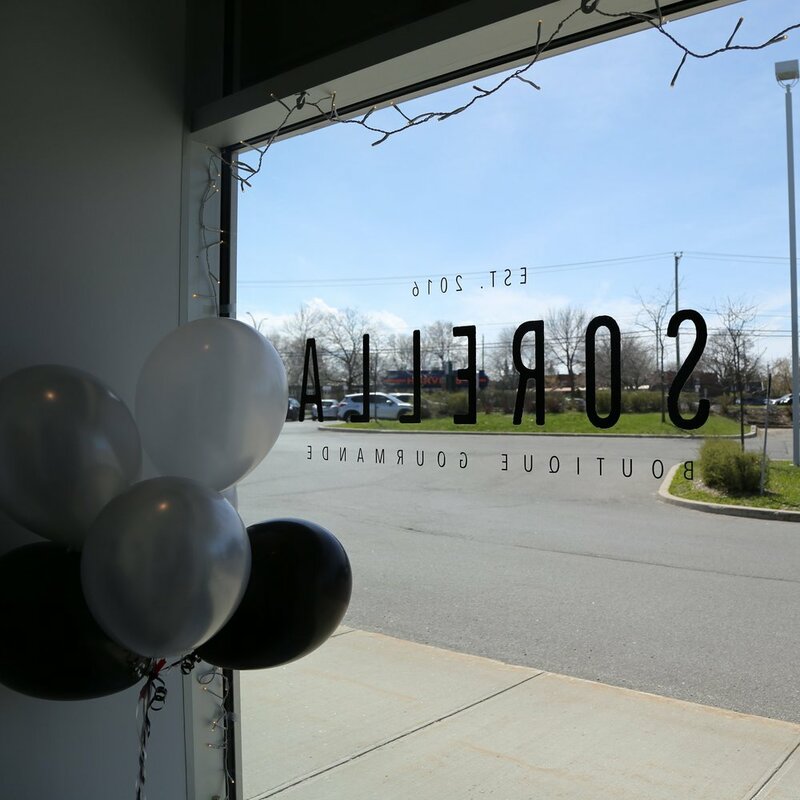 Whether you are hosting a birthday party, a working lunch or an upscale cocktail event, you can trust the expertise and level of attention from the staff at SORELLA. From platters to share, lunch boxes or exquisite canapés, we can cater to your specific needs and ensure your event goes without a hitch! Come by our boutique or give us a call! We will be happy to discuss your event either in person or over the phone, and build you a custom proposal to fit your needs & budget. We can't wait to make your event a success! get 10% off your order of gift baskets now! 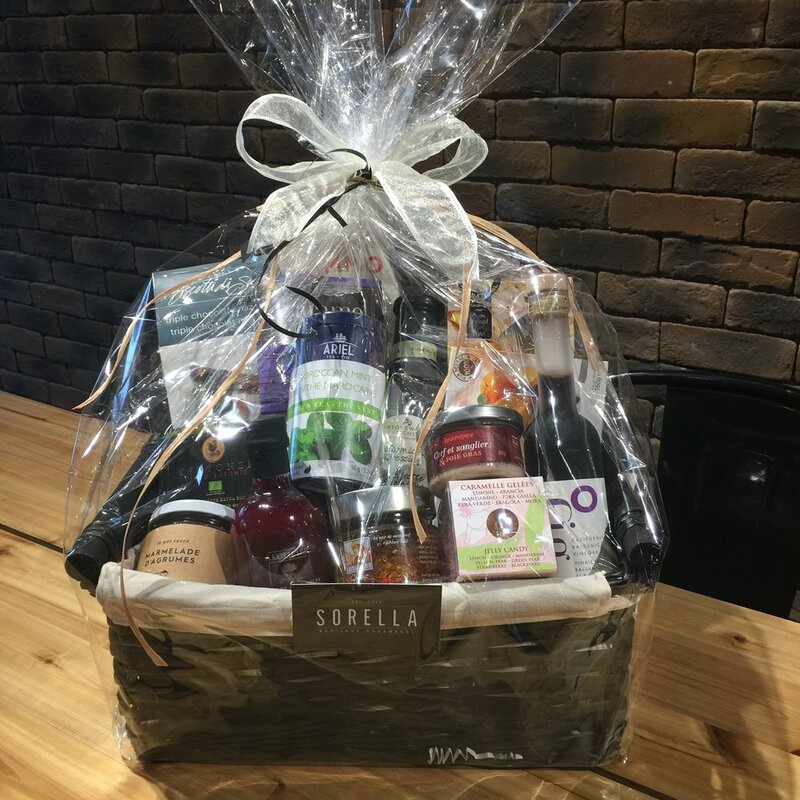 Gourmet gift baskets make for the perfect gift for any occasion! Below are some options for available gift baskets that can be ordered ahead of time. Orders can be placed using the order form. We'll then call you to proceed with payment (using a credit card over the phone). Because we love to spread the joy, enjoy 10% off your complete order when you order 5 or more baskets using our online service. Please note that delivery is possible in the West Island and Greater Montreal Area (with applicable fee based on location). Feeling picky? 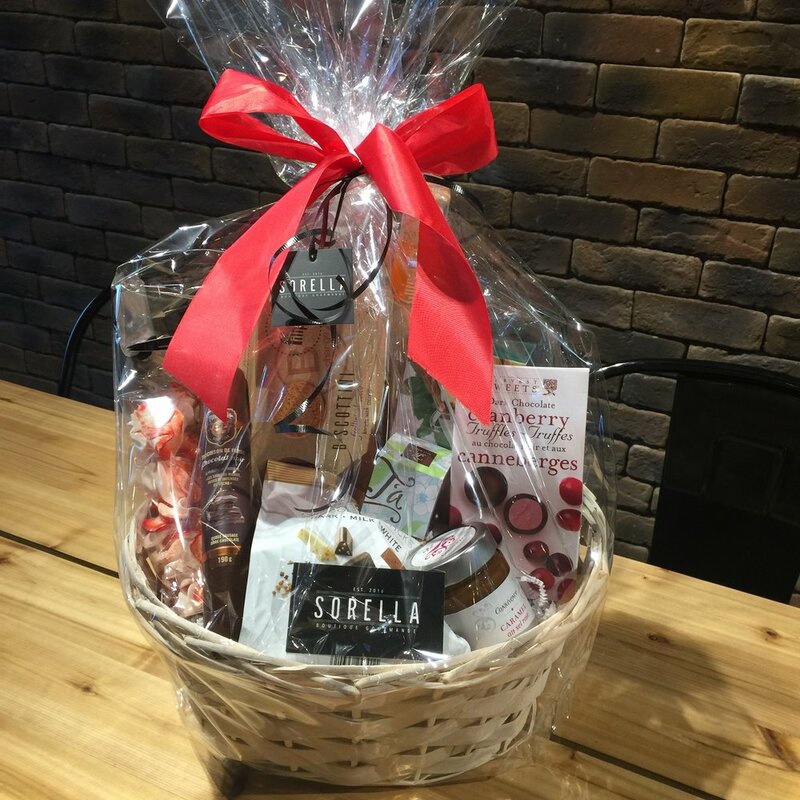 Stop by our boutique and carefully select the gourmet items you would like to include in your baskets. We'll put it together for you on the spot! There's no minimum required. 1. Fill out the order form below and submit it by hitting the 'send order' button. 3. You sit back and relax! That's what we like to call Gift Giving made easy! We will contact you shortly to review your order, confirm the delivery address (if required) and apply discounts to your bill (if applicable). In the meantime, you can always call us with your questions at 514-505-3296.